Creative Communication’s MailScan offers a comprehensive suite of email protection providing global email security, management and compliance solutions. Operating at Internet level, it provides total security before emails enter your network; we offer protection for organizations worldwide against threats such as spam, viruses and other unwanted content. Using a combination of patented, best of breed technology, our solution monitors, tracks and combats threats before they enter your network. We draw on a vast, constantly updated knowledge base, safeguarding your organization from email threats in whatever form they take. 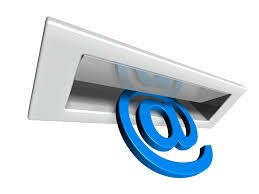 We give you control of the email content reaching your network. Our filtering accuracy and management capabilities mean you can manage any size or type of email, for any user or group. A defining force in email security, we continue to drive and shape the market by setting the standards. We are taking email protection and control to an even higher level. CC MailScan Protection provides a first line of defense against all email threats including viruses, spam, malware, denial of service attacks and directory harvesting. Businesses are further protected against legal action with image and content filters. Our content monitoring facilities are capable of providing exceptional control over all incoming and outgoing messages. The service allows control of where messages are sent to and how they should be treated. Feedback to organizations is provided to aid understanding of email use. The archiving solution has been designed so that organizations can not only meet the strictest compliance requirements, but exceed them for greater benefit. Secure storage and indexing of data with real-time data replication means that legal discovery requirements are met and that organizations can effortlessly retrieve business critical information at any time.